If you are importing the HP Smart Array (hpsa) controller driver in Update Manager (VUM), be aware of the following issue, especially if your VUM repository already contains a previous version of the HP hpsa driver. Recently, I imported the latest HP Smart Array (hpsa version 5.0.0.60-1) driver in VUM, created a new baseline and attached it to hosts. I noticed the compliance for this new baseline changed to green/compliant right away, though I knew these hosts did not have the latest hpsa driver update. After scanning the hosts again, the baseline still showed as green and the details showed “Not Applicable”. When I took a further look at the VUM repository, it appeared that the old version of the hpsa driver, version 5.0.0.44, which I then recalled was in the repository before I imported the newer version, was no longer there. 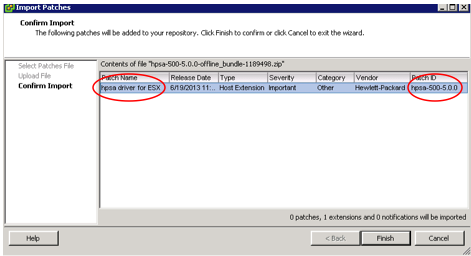 There was only one HP hpsa host extension that could be seen in the VUM repository GUI, and its release date was consistent with the hpsa 5.0.0.60-1 driver. It was almost as if the two hpsa driver versions had merged in VUM. The root cause? It appears that the HP hpsa patch name and patch ID in the metadata was the same across various hpsa driver version releases, and had not been made unique by the vendor (hpsa driver for ESX, Patch ID hpsa-500-5.0.0 for multiple versions). In addition, VUM did not warn me that I was trying to import a patch with a patch name and patch ID that was already in the VUM repository. Since Update Manager 5.0 does not let you remove items from the repository, the solution that is often proposed is to reinstall Update Manager and start clean. However, I was provided with a workaround for the issue that did not require an immediate reinstall of VUM, though eventually a reinstall will be required to clean up the repository. Hopefully, HP and VMware engineers will make the improvement needed to prevent this type of issue (and make it easier to remove items from the repository). Workaround – Before you import the latest hpsa driver bundle, extract the files from the bundle. Tweak the following lines in the .xml files below. Zip the files again. As you import the modified bundle in VUM, you should be able to see in the import wizard if this worked because the patch ID you see in the wizard should match the patch ID you assigned in the steps above. Try these steps in the lab, use at your own risk, and let me know if you find any issues with the workaround. There are upgrade issues as well if you use the hp5.5u1 iso. 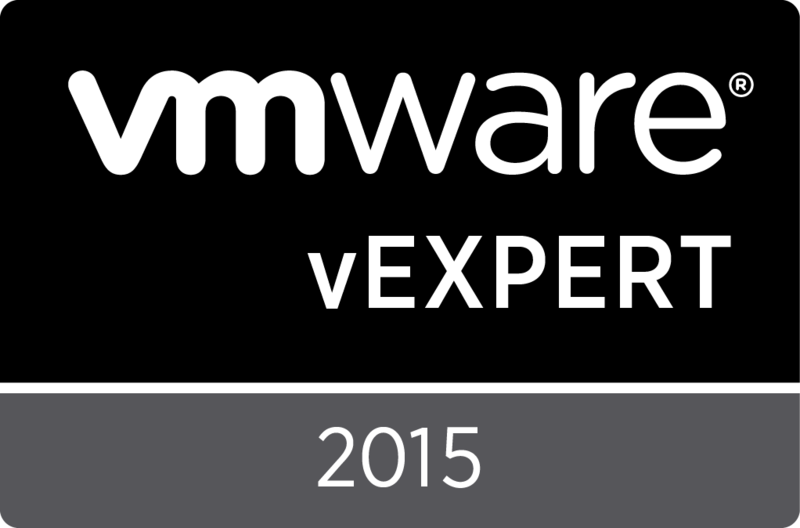 Did you get your fix from hp or vmware? Interesting, thanks for sharing that thread. I got the workaround from HP, only after being transferred to a SME/Lead technician. VMware would not touch anything in the VUM HPQ folder or HP bundle metadata.